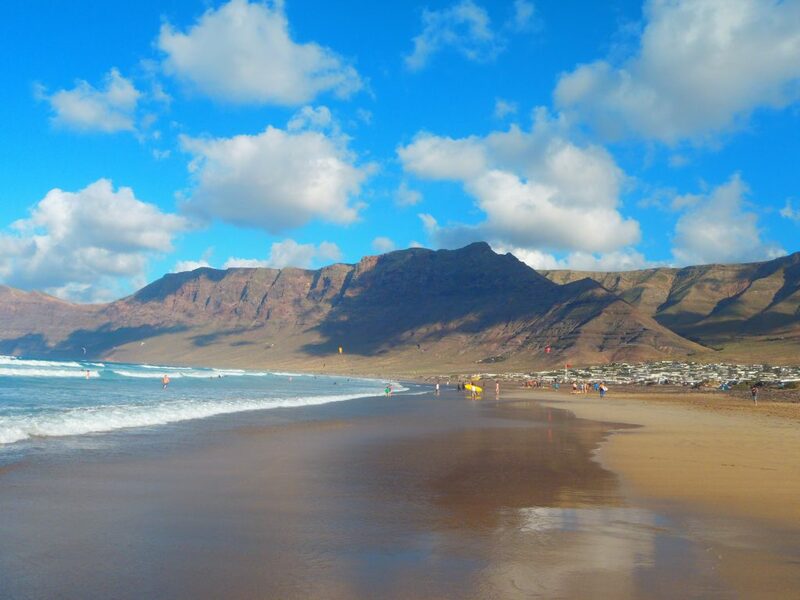 Famara is a mountainous massif and the beach located at your feet on the island of Lanzarote, Canary Islands, Spain. 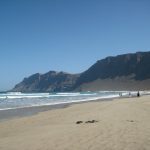 It is located to the north of the island, included in the municipalities of Teguise and Haría with a length of 23 km and is of volcanic origin. The highest point of the massif and of the whole island is the Peñas del Chache, with 671 m of altitude. 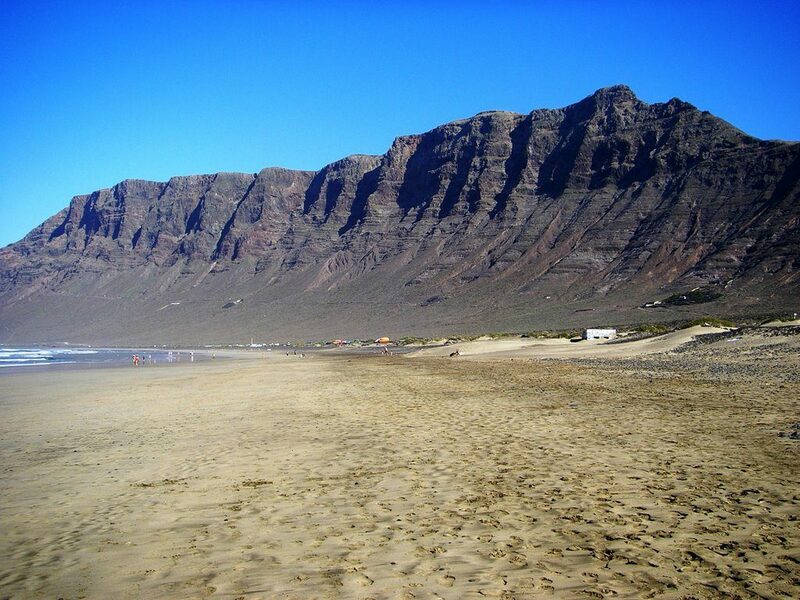 On the western slope forms a cliff over the beach of Famara and the Atlantic Ocean. Further north is the Mirador del Río, the work of artist César Manrique, where you can see the island of La Graciosa and the Chinijo archipelago. 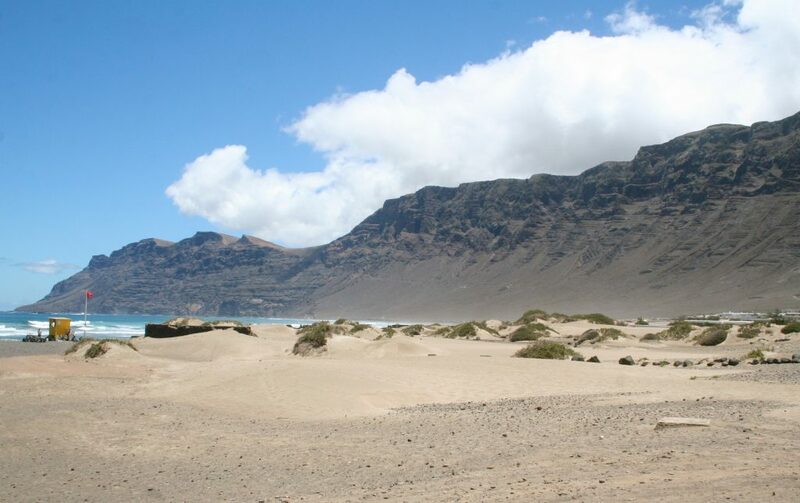 The Risks of Famara are home to a Special Protection Area for Birds. 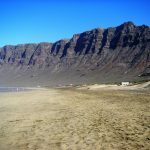 In the tops of Famara is the Hermitage of Our Lady of the Snows, the historical patron of the island of Lanzarote. 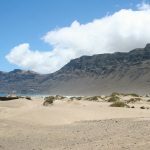 As Famara is also known to the beach located at the foot of the massif and that constitutes the northern boundary of El Jable, sandy area that goes into the center of Lanzarote. The predominance of trade winds on the coast makes temperatures more moderate than in other areas of the island, and has favored the practice of water sports such as surfing. 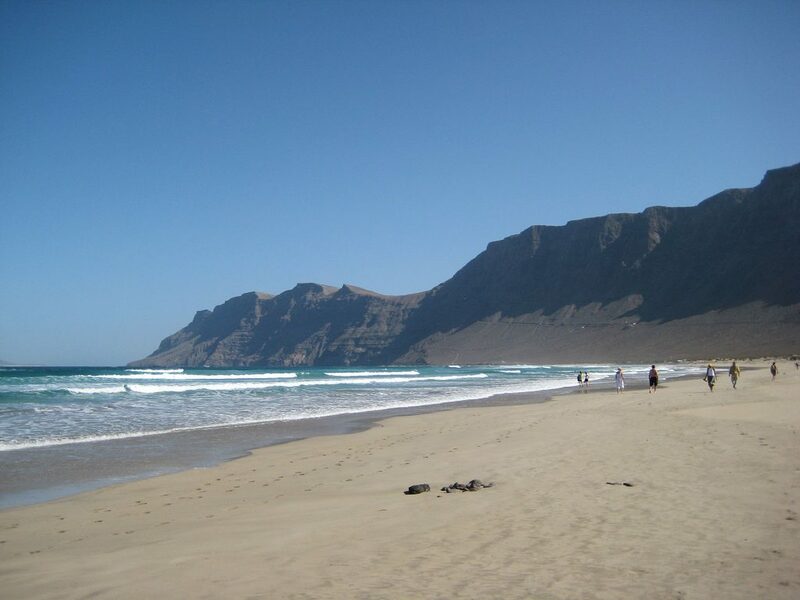 At the southern end of the beach is the town of Caleta de Famara, with a population of 1073 inhabitants.